A major cross-border exhibition of cultural relics will be held in May at the National Museum of China in Beijing to reflect cultural diversity in Asia. 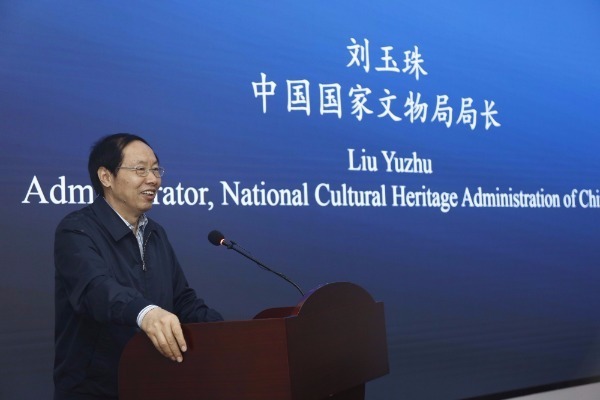 This Was announced by Liu Yuzhu, the director of the National Cultural Heritage Administration, on Wednesday at a conference in Beijing. The exhibition will also be a key event to mark a high-level conference for dialogue among Asian civilizations in May. The inaugural edition of this conference is planned to be promote a proposal by President Xi Jinping during the Boao Forum for Asia in 2015. Details of the exhibition at the National Museum of China are yet revealed, but Liu says more exhibitions reflecting communication among ancient civilizations along the Silk Road will follow. May 27 marks the fifth anniversary of President Xi's speech at the headquarters of UNESCO in Paris where he advocated promotion of exchanges and mutual learning among different civilizations. More than 400 exhibitions of cultural heritage, either in China with their exhibits on loan from overseas or Chinese exhibitions taken abroad, have been held since 2013, according to the National Cultural Heritage Administration.